In practice, the parties in the contract negotiation do not move from total non-agreement to complete agreement at once, except in the simplest contract. The parties may reach consensus on those undisputed terms and clauses first, and leave some questions to be resolved at a later date – which is unnecessary non-agreeable – but for building up the bargaining position for the incoming negotiation. The other reason – it is disreputable to go back to renegotiate for something which has been agreed. The parties may reduce the agreeable terms and clauses in writing, in the form of Memorandum of Understanding (MOU), Letter of Intent (LOI) and etc. These inchoate agreement need to be carefully worded, to reflect the mutual intention of the parties – whether the parties intend the agreement is legally enforceable. If the parties intended the inchoate agreement to be enforceable, its terms and clause must be sufficiently certain which the Courts can hold it. Alternatively, if it was never the intentions of the parties, it is better to expressly state the agreement is not meant to create legal relations between the parties. In the context of international contract negotiation, the parties may have its own biasness on the agreement – where the parties interpreting the terms and clauses based on their understanding on the law of contract, most probably from the perspective of their home jurisdiction. What if one of the parties purposely to negotiates subsequently with bad faith and intends to make the contract fail? 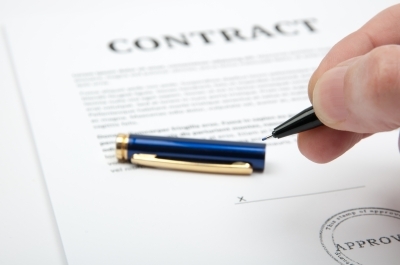 Will inchoate agreement helps to remedy a fail contract? Second, is then possible to impose or to adopt the doctrine of ‘culpa in contrahendo’ in inchoate agreement? The English case, Walford vs Miles, the Court gave a negative answer – “duty to negotiate in good faith was meaningless and without content”. Third, in some occasions the inchoate agreement is enforceable in the absence of conclusion of the final contract. The English case, Blackpool & Fylde Aero Club Ltd vs Blackpool Borough Council, the Court held that the inchoate agreement gave rise to some rights during the negotiation process. Note: This writing was first published at LinkedIn.